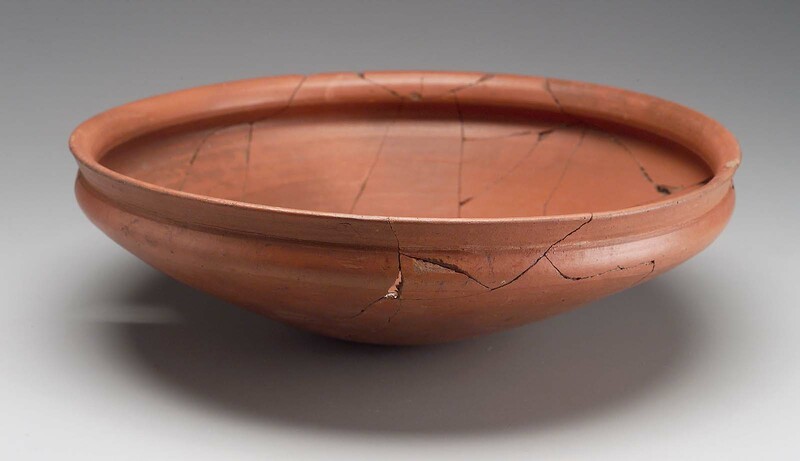 Carinated dish with high shoulder, round base; polished redware; repaired, nearly complete. From Giza; G 2422 A, pit. Exp.Ph. B 8726, 4/1. Excavated by the Harvard University–Museum of Fine Arts Expedition; assigned to the MFA by the government of Egypt.